A couple weeks ago, a friend and I got permission to go collecting at a local beach. We were looking for a mineral called magnetite. Magnetite is a type of iron oxide, one of the most important iron ores found on the planet. 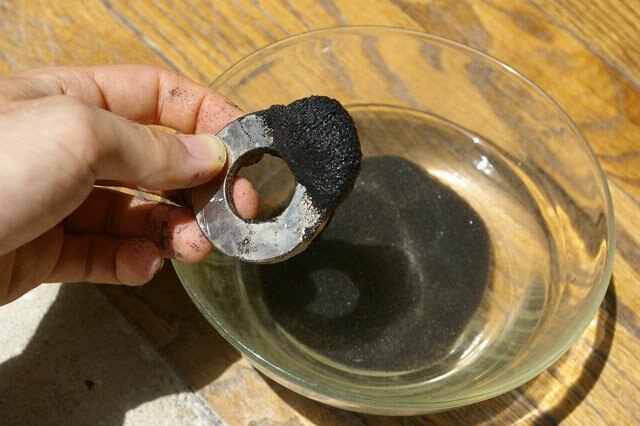 It can also be used to make black paint. 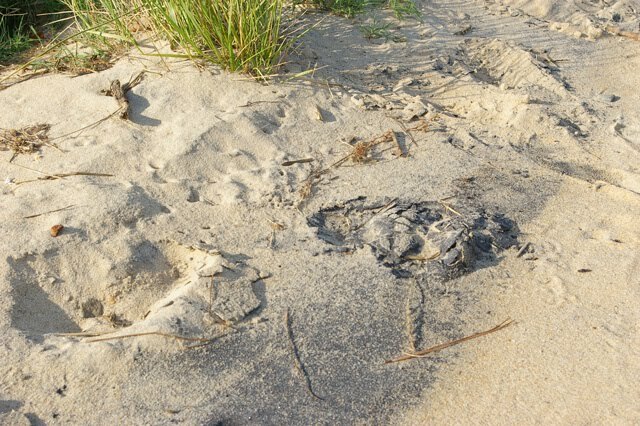 Concentrated by the waves, deposits of magnetite make up the bands of black sand commonly found along the beach. 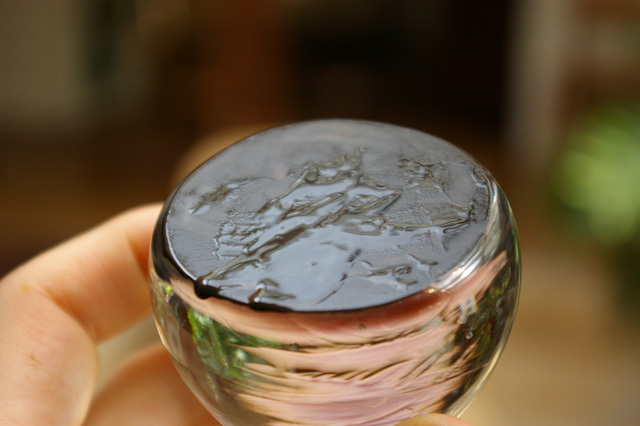 As the name suggests, magnetite is very strongly attracted by magnets. So all my friend and I had to do to collect it was find a spot along the beach with a large deposit, and drag a strong magnet along the surface. We filled a small bag. A small amount of beach sand did get picked up in the process, that I would want to remove. In order to filter the sand out, I added the magnetite to a bowl of water, and dragged a magnet through it. 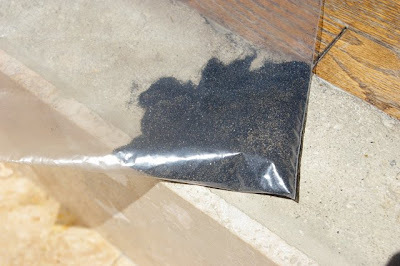 The magnetite went straight for the magnet, leaving behind mostly sand on the bottom. This was dumped out. I repeated the process several more times until I was confident I had removed most of the sand. 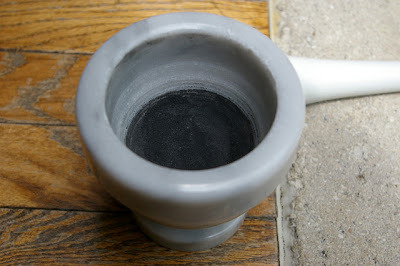 The magnetite was relatively hard to grind into a fine powder. It had a glittery sparkle, that got finer as I ground the pigment, but never totally went away. Magnetite mixed with oil, on the underside of the glass muller. The other day, I went out to test my new palette of pigments on a bit of scrap canvas. The subject is a familiar one, a farm that's also featured on the banner of this blog. 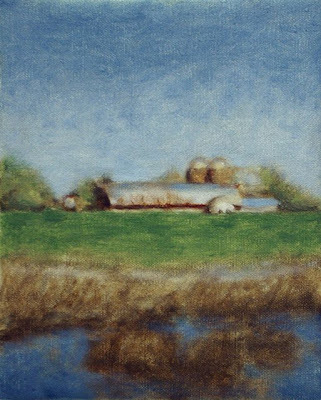 The picture was mostly done as a one day oil-sketch, however the blue and green sections consist of thin layers gradually built up over the course of a week. This is how azurite and malachite are best applied. The colors are mostly to my satisfaction. I'm looking forward to starting a real picture soon.